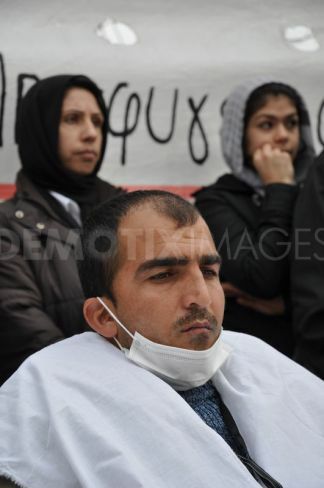 Afghan Refugees on hunger strike with sewn lips gathered in Syntagma Square today to protest in front of the Greek Parliament, seeking political asylum. Athens, Greece. 14/01/2011. 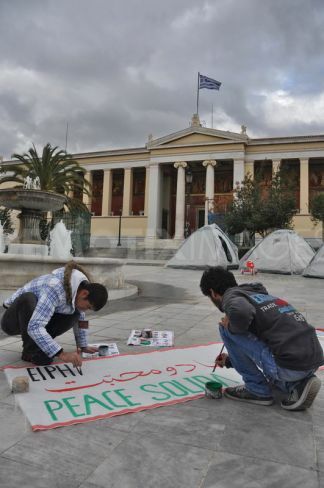 Syntagma Square protest in front of the Greek Parliament House. 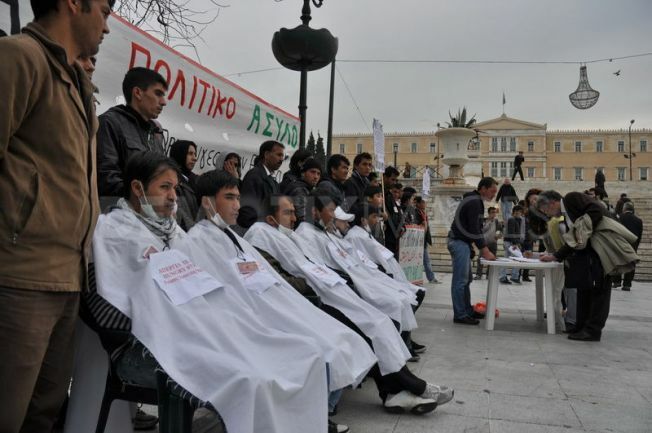 We the Afghan political refugees gathered today, Friday, January 14, at Syntagma Square to spread awareness of our request for political asylum. 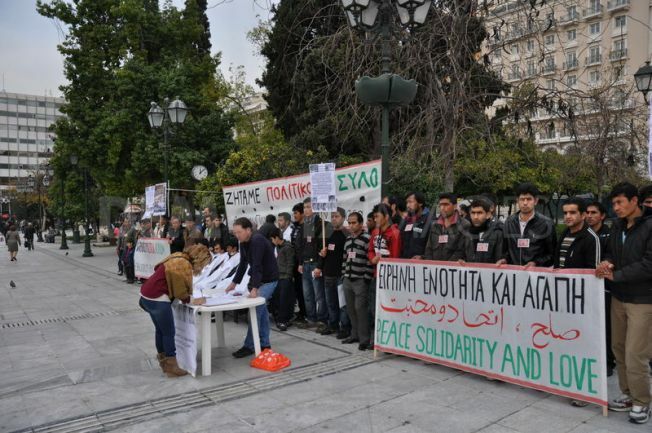 It was a peaceful protest and at the end of it four members of our group submitted an official letter to the president of the Greek Parliament, a copy of which he will give to all the leaders of the political parties that are represented in the Parliament. There were no problems with the gathering and many Greek citizens signed our petition expressing their solidarity to our struggle. 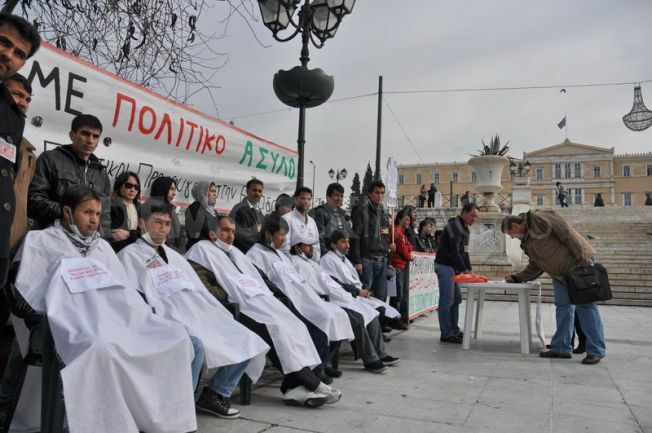 The protest included the six members of our group who have sewn their lips together and are now in the 17th day of a hunger strike. During the last seven days every day one of them has had health complications and has been taken to hospital, but they insist on continuing with the strike. All of them stayed only a few hours at the hospital where they were given the necessary medical care, but all have refused to cut the stitches from their mouths. 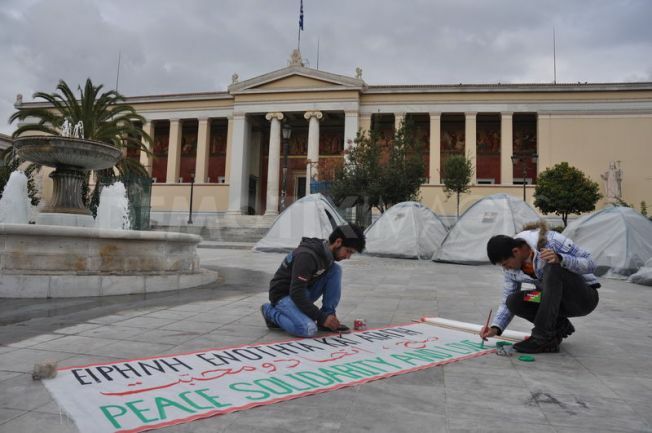 After visiting the hospital they returned to the Propylaea where they have been from November 22. 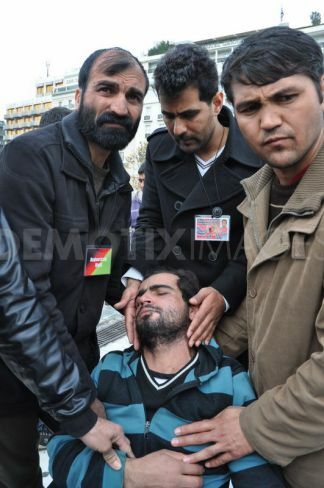 Today at the end of this peaceful protest one more hunger striker had to be transferred to hospital. As the days pass their health condition is becoming critical. Unfortunately, although we have informed the Ministry of Citizen Protection and other ministries and agencies, there has been no official response from any of them giving a clear answer to our request for political asylum. We do not want to believe that the Greek state and the Greek people are apathetic and indifferent towards us and what we have been through in our country, which is in a war situation, and during our journey to Greece. 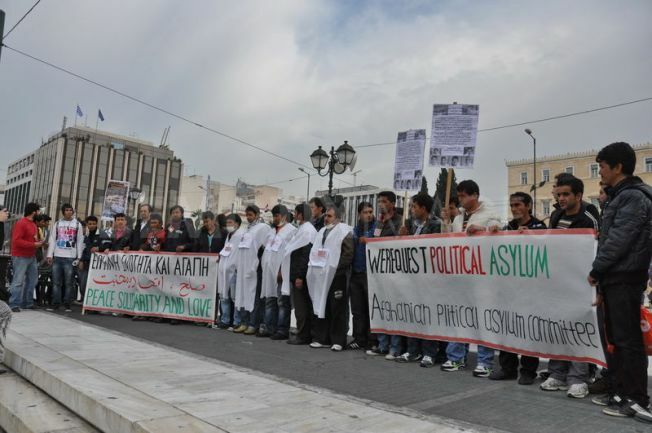 We understand that the crisis in various sectors of Greek society and the world may have contributed to not giving the appropriate attention to our request for political asylum. 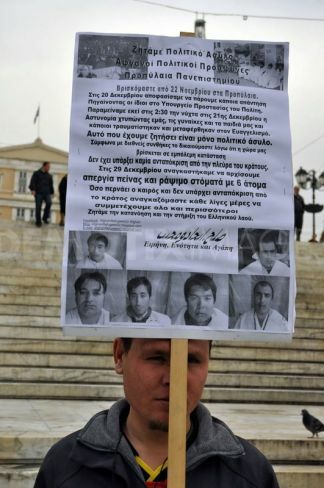 Yet, because of the critical situation of the men who are on hunger strike and because more and more of our group are expressing a desire to participate in the hunger strike, a response to our request for political asylum is imperative. Finally we would like to say that our desire is to live in peace, harmony and brotherhood with Greeks citizens and hopefully the day will soon come when things will be easier for us here.